Well, well, well, it appears that wide receiver Dez Bryant’s time in Dallas has come to an end. 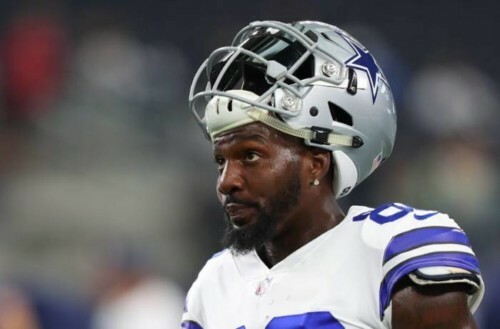 Earlier this morning, the Dallas Cowboys met with Dez Bryant to inform him that they were releasing their former star wide receiver. Bryant was originally selected in the first round of the 2010 NFL draft by the Cowboys and over the years he has been one of the best wide receivers in the league. Despite Bryant’s performance on the field, this upcoming season Bryant was due a large sum of money and it was obvious that the Cowboys were looking to pay him the money due. Bryant was due $12.5 million this season and during the offseason, Bryant has made public statements that he wasn’t looking to take a pay cut. Althought I’m hearing the Cowboys never even offered a pay cut option to him. Now as Bryant approaches 30 years old, its time for a new chapter in his career. One that could be in the NFC East. Bryant took to social media today to inform Cowboys nation that this wasn’t his choice, thanking them for their support over the years. Now the question remains, what’s next for one of the most dominate wide receivers in the NFL. Me personally, I see Dez looking for revenge against his former team in a Philadelphia Eagles uniform. Only time will tell. Follow @eldorado2452 on Twitter and Instagram for all your NFL and sports news.